ARTISAN SKILLFULLY PAINTING KITCHEN CABINETS & INTERIORS. Hand Painted Kitchen cabinets, Interior decoration. Artisan paint effects - graining, marbling etc. 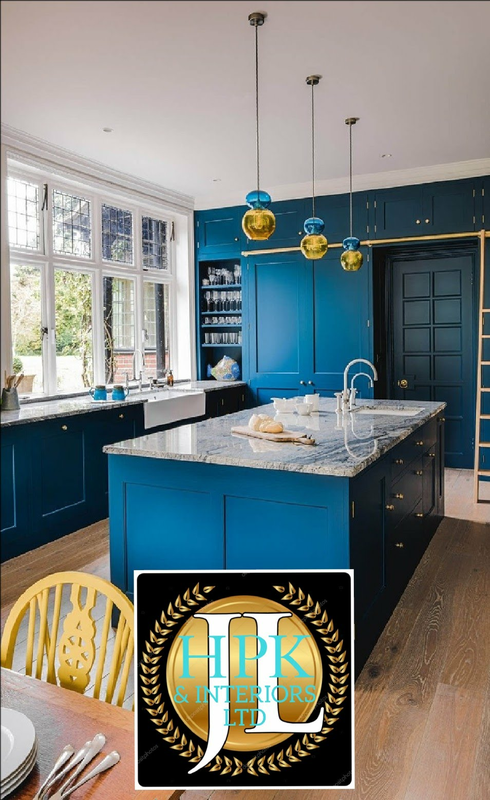 Having completed projects for such companies as La Bella Cuisine (of Lichfield), Sustainable Kitchens, Harvey Jones, Clive Christian, Mark Wilkinson, Handmade Kitchens Direct, Broadway Kitchens, Brookmans, Prentice kitchens and many others. I have also worked in QATAR for HRH The Emir of Qatar painting a new Palace on a 6 month contract. 80% of my work is for private clients, during which time I have built up a reputation of excellence, quality and attention to detail. Gaining repeat custom from many satisfied customers. From re-paints to MAKE OVER'S of kitchen cabinets which have never been painted giving them a whole NEW LOOK, also painting new kitchens cabinets. Based in Lichfield, Staffs, makes me ideally placed to cover - LICHFIELD, Ashbourne, Warwick, Sutton Coldfield, Melbourne, Stafford, Four Oaks, Little Aston, Solihull, Staffs, Warks, Derbyshire, MIDLANDS and UK.